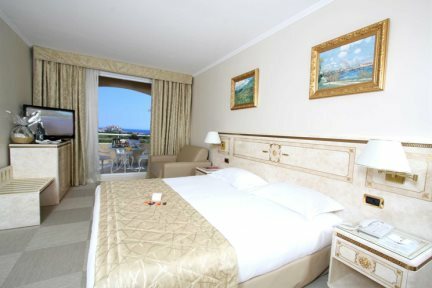 Hôtel Corsica enjoys panoramic views with a handy shuttle bus into town and to the beach. 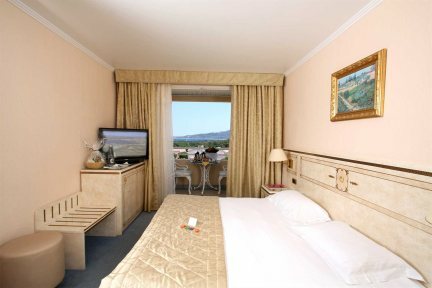 Located on the hillside overlooking the bay of Calvi and the citadel, Hôtel Corsica is blessed with exceptional panoramic views. With a peaceful atmosphere, the hotel offers great comfort and quality service in a stunning natural setting. For those looking to sit back and take things easy, both the beach and town are served by a shuttle bus which runs every hour between 8am and 11pm (on request). 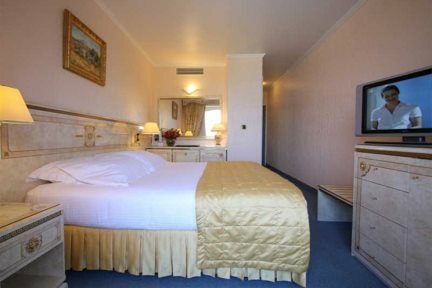 The hotel comprises 48 rooms, all with a very comfortable feel. 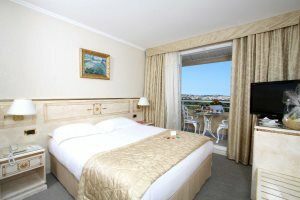 All rooms are air-conditioned, and have a balcony or terrace with sea, pool or garden views. There is a fabulous free-form swimming pool located in the magnificent gardens with a large sun terrace and plenty of sunbeds and parasols – a poolside drinks service is also available and there is free use of the sauna and Jacuzzi. 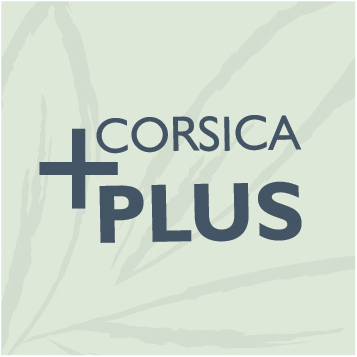 Hôtel Corsica is a great choice for couples seeking a very comfortable and peaceful hotel close to Calvi. Swimming pool (18m x 12m, max depth 2.2m), à la carte restaurant, bar, wellness centre including sauna, hammam, Jacuzzi and fitness room, 24-hour room service, table tennis, parking, complimentary shuttle to beach and town (8am to 11pm), lift (some steps to Panoramic rooms). 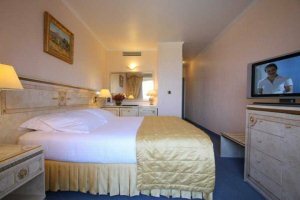 En-suite bathroom with shower and wc, television, telephone, bath robes, mini-bar, safe, tea and coffee-making facilities, air-conditioning, Wi-Fi.